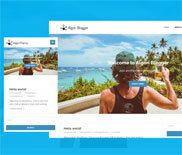 Algori Video and Image Slider Pro is a premium version of the free Algori Video and Image Slider WordPress Gutenberg Block Plugin that enables you easily add Video and Image Sliders to your WordPress website. This will enable you capture your site visitors' attention with compelling image slideshows, hero images/videos, header sliders and beautiful image carousels. T hank you for purchasing Algori Video and Image Slider Pro. 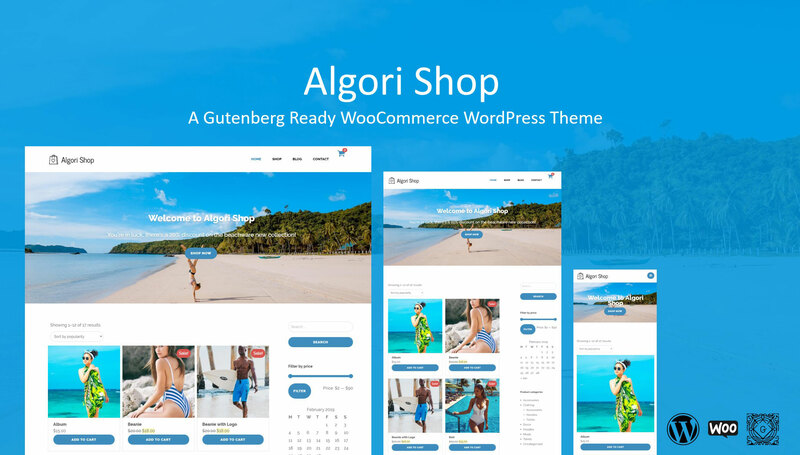 If you are still contemplating upgrading from the free version of this plugin to the new premium version, below are the benefits you will get after buying Algori Video and Image Slider Pro for WordPress Gutenberg. Pause Autoplay on Click: Enable or Disable pausing of slider autoplay when slide is clicked. Right to Left Direction: Enable or Disable right-to-left or left-to-right slider direction. Vertical Direction: Enable or Disable vertical slide direction. Slide Fade: Enable or Disable slider fade animation. Lazy Load: Enable or Disable lazy load i.e Load images or render elements on demand or progressively. Center Mode: Enable or Disable Center Mode. Shows current slide in centered view with partial prev/next slides. Infinite Slider Loop: Enable or Disable slider infinite looping. Option to Enable or Disable slider infinite looping is provided. Animation Speed: Increase or Decrease slider animation transition speed. Option to adjust default animation transition speed is provided. Autoplay Speed: Increase or Decrease slider autoplay change interval. Option to adjust default slider autoplay change interval is provided. Slides to Show: Increase or Decrease number of slides to show at a time. Option to set multiple slides to be shown at a time is provided. Slides to Scroll: Increase or Decrease number of slides to scroll at a time. Option to set multiple slides to be scrolled at a time is provided. Slide Rows: Increase or Decrease number of rows to show in the slider. If set to a number greater than 1, grid mode is enabled. Option to adjust default rows shown is provided. Slides Per Rows: Increase or Decrease number of slides in each grid row of the slider. Works only when grid mode has been enabled. Option to adjust default slides shown in the grid row is provided. Slider Dots: Choose a design from various navigation dot styles that will beautifully match the design of your site. Option to choose from 14 different slider dot styles is provided. Slider Arrows: Choose a design from various navigation arrow styles that will beautifully match the design of your site. Slider Text: Add text with call to action button on top of slider. Options to adjust all slider video settings are provided. Priority and friendly support guaranteed. PS: These steps are the same for Algori Video and Image Slider Lite, only that Lite has less features as compared to Pro. 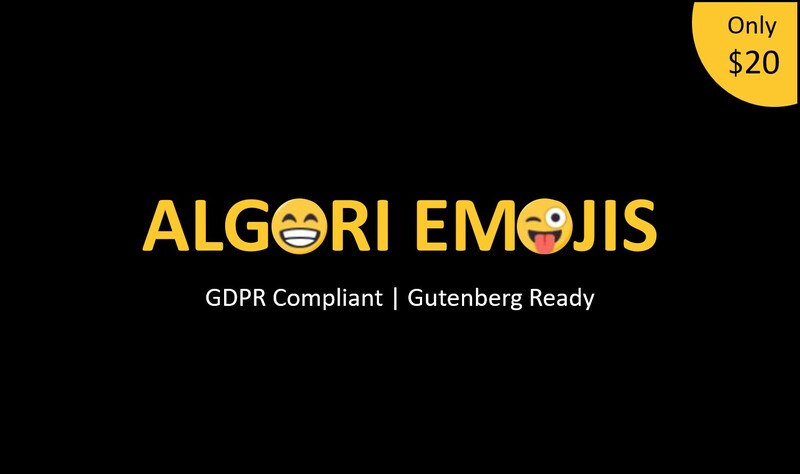 We assume you have already downloaded and installed Algori Video and Image Slider Pro into your WordPress Gutenberg ready site. Navigate to your blog post or page and use the Gutenberg editor to add an Video & Image Slider block. Adding Video & Image Slider Block to web page. Use the Video & Image Slider placeholder to upload images/videos from your computer or use the media library to choose images/videos and create your slider gallery. Please Note: In order to choose multiple images in the media library press keyboard button “Ctrl” on Windows or “Command” on Mac, then click on your images to select them. Creating Slider by choosing multiple images/video from media library. Use the Gutenberg block inspector section to adjust your slider settings to your satisfaction. Please reference the features table shown at the top of this page for details on what each feature/setting stands for. Congratulations on adding an image slider to your site in just a few clicks! 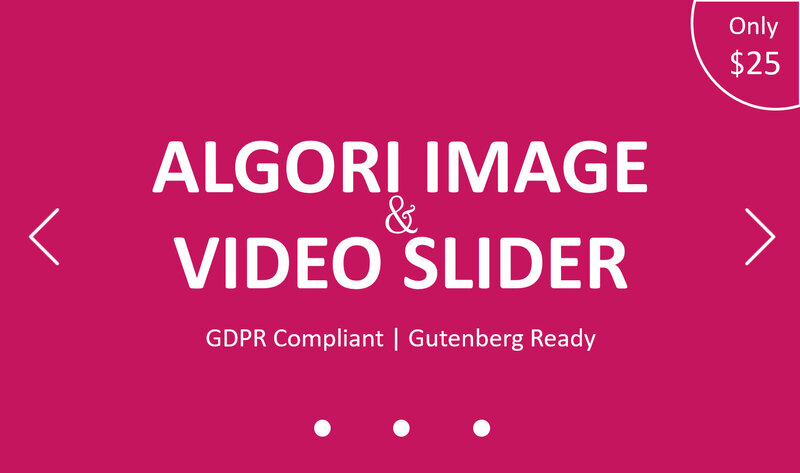 In case you have any questions or challenges on adding image sliders or carousels to your Website using Algori Video and Image Slider Pro, please feel free to ask in the comment section below or contact me here. I will be happy to help.